Prepare Now or Prepare Not? A number of people have brought up to me that part in our book trailer in which I say that our new edition of A Course in Miracles restores original wording from Helen's Notes, such as "Prepare you not for the undoing of what never was," which had been changed to "Prepare you now for the undoing of what never was." People are struck because they can see that the original word was "not" (the book trailer shows a picture of the Notes), and they get that changing it to "now" reverses the meaning. "Prepare right now" is clearly the opposite of "Don't prepare at all." Because of the feedback this has generated, I thought I would say a bit more about it. First, how do we know that the original wording is correct? Maybe what Helen initially heard is in error, and the edited version is correct. The key is context. Carefully reading the paragraphs before and after this line leaves little doubt that "Prepare you not" is the correct wording. This is the very next sentence after the well-known section "The Little Willingness" (T-18.IV), in which "preparation" for the holy instant is a central theme. 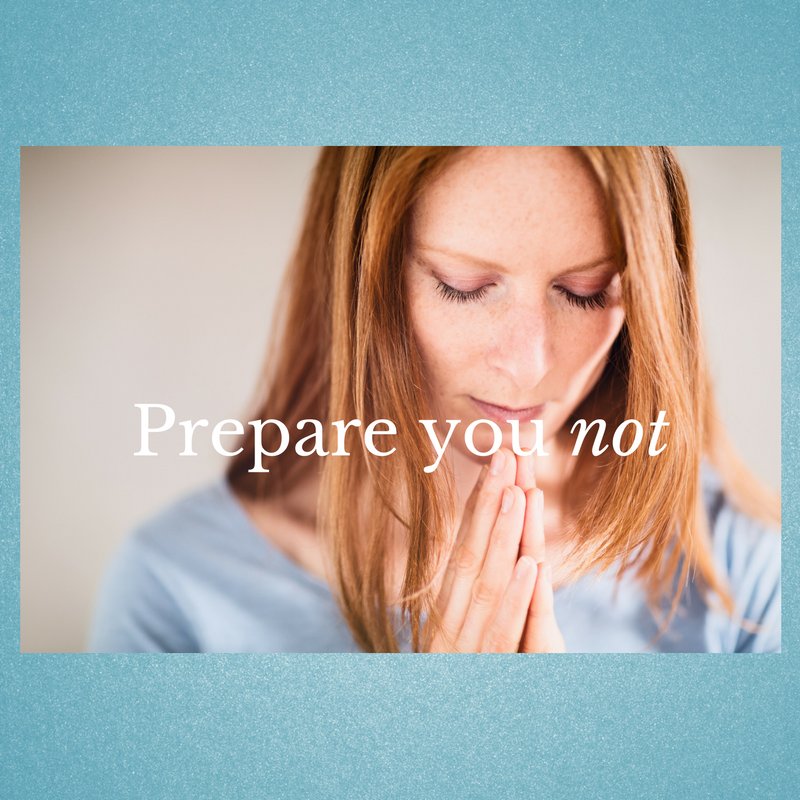 The "Little Willingness" section opens with a guardedly positive reference to preparation: "You prepare your mind for it [the holy instant] only to the extent of recognizing that you want it above all else" (T-18.IV.1:4). But this leads into the major focus of the section. Seven times we are urged to not prepare ourselves for the holy instant by trying to purify our own minds and thus make ourselves worthy of experiencing a holy instant. For example, "You have been wrong in thinking that it is needful to prepare yourself for Him" (T-18.IV.4:4). The paragraphs following "Prepare you not" continue with this same theme: "Never approach the holy instant after you have tried to remove all fear and hatred from your mind. That is its function" (T-18.V.2:1-2). The original wording is not only very likely correct, it is also deeply practical. How many of us feel unworthy of having a holy instant? And in that feeling, how many of us subtly try to make ourselves pure, make ourselves holy, so that now we are worthy? What we are being told here is that this actually backfires. It is the holy instant's job to purify our minds. If we come to it "in arrogance, assuming that [we] must achieve the state its coming brings with it" (T-18.IV.2:7), then we actually push it away. We make it harder to have holy instants. Our part is just to desire the holy instant above all else and be willing to let it come, and to actively refrain from doing more, from making "arrogant preparations for holiness" (T-18.IV.4:5). This, we are told, is what "makes the holy instant so easy and so natural" (T-18.IV.8:1). And this is why it is so important that we prepare not. Preorder the Complete and Annotated Edition of A Course in Miracles. Thank you so much for this explanation! And thank you for your great work with ACIM!